THE Zimbabwe Schools Examination Council (Zimsec) has dismissed social media reports claiming that there would be a re-sit for three examination papers that reportedly leaked in the just ended November examinations. A fake memo circulating on social media allegedly signed by the Minister of Primary and Secondary Education Professor Paul Mavima claimed that there would be a re-sit for Mathematics, English and Shona paper two. 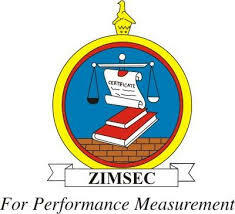 Zimsec public relations officer, Ms Nicky Dlamini, dismissed the memo saying there was no reported leakage of any paper in the just ended examinations. “No O-Level or A-Level paper that has been put on that letter leaked, therefore we don’t associate ourselves with that statement or letter. We will be announcing our results properly in due course. “Those who were involved in malpractices will be apprehended but there is no such thing as a re-sit,” said Ms Dlamini. According to the fake memo, candidates were to resit the examinations between Monday and Thursday. “This letter served to notify all candidates of the just ended 2018 November Zimsec examinations that the following exams (English Paper 2, Mathematics Paper 2 and Shona Paper 2) have leaked and are to be written on 3 December up to the 6th of the same month. “Candidates are being allowed the few days left to prepare for these disciplines thoroughly and drastic measures will be taken against perpetrators who were involved in the leaking of the above exams,” reads the fake memo. Earlier this year, the High Court threw out an attempt by Zimsec to re-sit an English paper after it had leaked. Government ordered candidates who sat for the Ordinary Level English Paper 2 examination in November last year to rewrite the paper after it was discovered by authorities that widespread cheating took place. The decision was met with stiff resistance from parents who felt that the time frame given by the Ministry of Primary and Secondary Education for the resit was too little resulting in a court challenge.